﻿ Indian trinket gold - or brass as we call it. All the way from India - a bit of bling for my Bullet. Tuesday and it was time to head for the foot clinic and get my hooves trimmed, or whatever it is they call it these days. 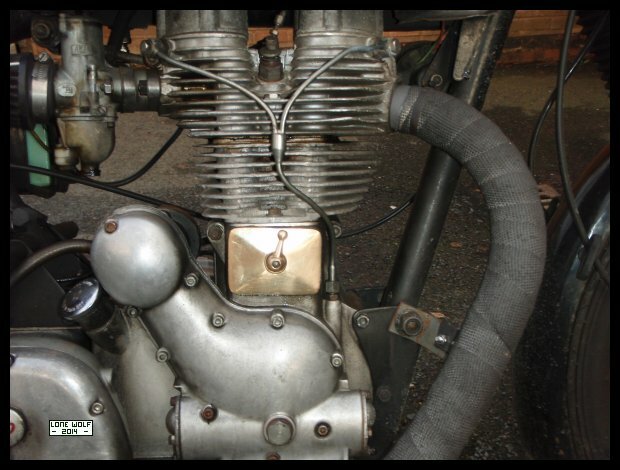 Thursday and the Enfield got a Christmas present - a tappet chest cover made of finest Indian trinket gold - or brass as we call it. Saturday night was the Moonshiners Xmas bash - once again it went well. Sunday and it was the Andrew Greenwood show over at Donington - Andy M came and gave me a lift.